A backyard doesn’t have to be just grass and rocks, and it doesn’t have to be boring! Your backyard can easily be transformed into a happy space where you can gather with friends and family to enjoy the outdoors, and each other. A backyard provides the perfect opportunity to create a space that is uniquely yours. With a little creativity and a spare weekend, it is easier than ever to transform your backyard into your happy space. Are you looking for a backyard fun space for the kids? 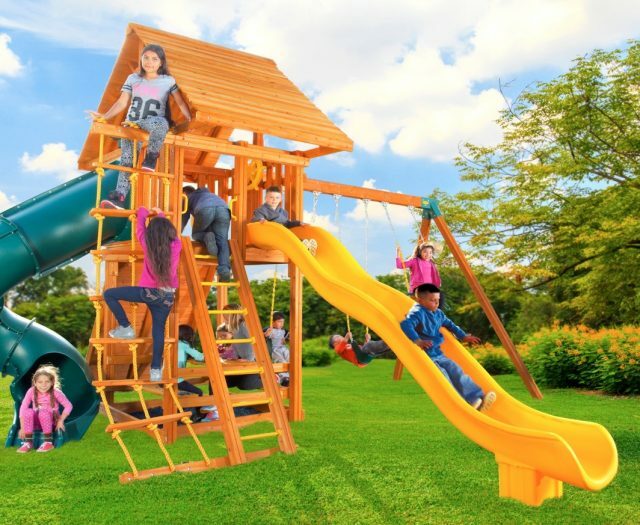 Take your backyard to the next level and transform that empty space into an exciting, safe and versatile play area for family and friends with a durable, top-quality swing set. Whether you have a cozy space or something larger, it is so easy to make that empty space change into something more functional and inviting. With a swing set all you have to do is sit back and watch! With exercise, fun, and imagination, a swing set will create memories that will last a lifetime. If you have a green thumb, gardening is a great way to create your happy space. Whether you like to plant flowers of all colors or grow a vegetable garden, it is a great way to get outside and personalize your space. Gardening is a great way to spend time with yourself and get some vitamin D. Gardening is also a great way to encourage time away from screens for kids, as well as teaching them about plants and responsibility. Put the kids in charge of watering, or labeling which vegetables are which, to get them involved and excited for vegetables. Gardening has so many great benefits and can help you make your backyard your special place. Have you run out of room in your garage to store all your keepsakes? By adding a shed to your backyard you’re not only adding additional storage, but you are adding a beautiful accessory. Sheds are also very versatile because they can be used for far more than just storage! For the DIY-ers and creative types, you can turn your shed into a office, a shed-shed, a man cave, or even a workshop. A shed can really personalize your backyard and help you create a whole new look to get you closer to your happy space! 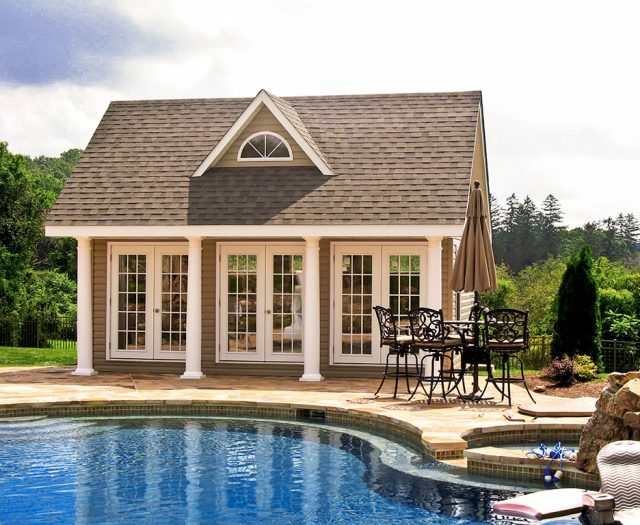 What better way to create your happy space than to add a hot tub or swim spa? Bring your friends, bring your family, or bring your neighbors to enjoy the relaxation and tranquility. Swim spas are designed to meet your needs and your activity level by promoting a healthy lifestyle and bringing a unique experience to your backyard. Whether your choose a hot tub or swim spa, you can benefit from the hydrotherapy, time spent with your family, and taking care of your own needs as you enjoy the warm water and jets. If a hot tub or swim spa doesn’t create a happy space, we don’t know what does! It can be hard to picture your happy space when you don’t have a deck or patio to bring your backyard to life! 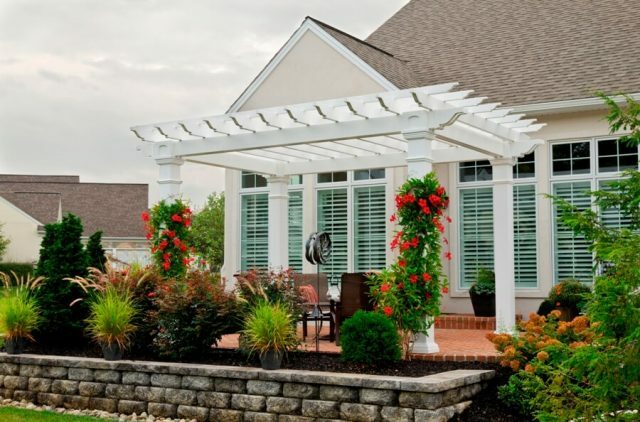 With a deck or patio you can finally host those family get-togethers and neighborhood BBQs. 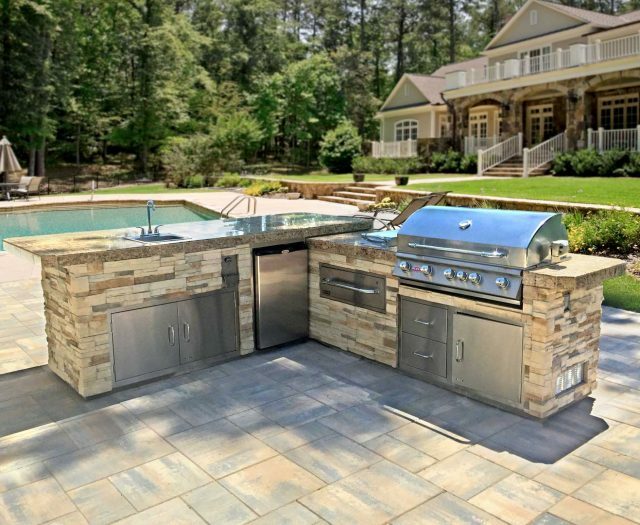 A deck or patio creates a space for options like fire features, outdoor kitchens, grills, or even some outdoor furniture. Spend your summer evenings sitting outside and chatting with your significant other in a warm and inviting space. Love your backyard again! You don’t have to create your happy space all at once,meaning you can start to work on creating that space one step at a time. Whether you want something special for the kids, or something special for yourself, it is time to start loving your backyard again. Create a space you are proud to host parties at, a space where your kids and their friends can run around, and a space that makes you smile every time you look at it. Taking care of your backyard means you are taking care of yourself.